This will be my third collection of poems. However, poetry flows throughout all my volumes. To me, 'poetry' is a way of communication and it is diverse, overlapping prose, overlapping music . . . sad to publishers and those who would put creativity in a niche, I feel life as a great woven tapestry of creation . . . from a distance, maybe distinctions may be made; up close, all is a part of one, flowing this way and that . . . here a gentle stream, here a rushing river, here a great sea which, itself, may be calm or tempest-tossed. Yet, water is water. 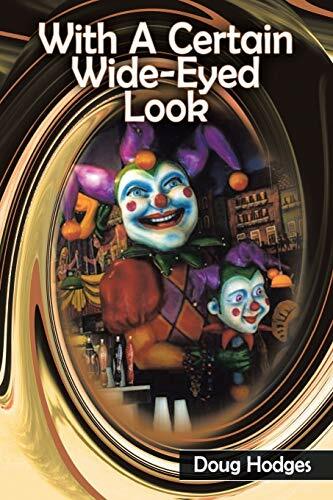 With A Certain Wide-Eyed Look is largely composed of newer poems, caught up in the mind and events of the day, with some quick flash-backs to times and writings gone by. For I, still, am no less a product of my past even as I am recreated with each new day. People and images abide, herein, which have touched my life. Readers, who know me, possibly will know these, as well; readers, to whom my writings are new, will possibly recognize these folk as well, even if by different names. For as new as are all ideas, images, personalities, there is a familiarity among the body of man and along the plain of existence and time, which is a common thread woven deep throughout us all. A poet is a weaver of words. The why is easy enough . . . to communicate, to say something which must be said when no other vehicle will work. The author becomes a wordsmith, imparting his view of the world to others. The drive behind such a need is not so clear. Enlightenment, questioning, to bring new insights and horizons to others who see things differently, even pure entertainment . . . all are feeds to such a desire. In my case, there is also the need to share what I see, what I experience. I see each of us as a stone cast into a pond; each of us sends out ripples which touch others. Each of our lives is made up from the ripples of others. Poetry, being a creature of word and music, seems to have been my chosen way to others; long before prose, text, stories, and images floated to the surface, the words danced upon my heart and tongue and I could do no less than to record them.